A full package of all the components required to build the site is available for download at Envision Shakespeare Company Reference Project (60 Mb). A live version of the site is available at https://shakespeare.envisionit.com/. 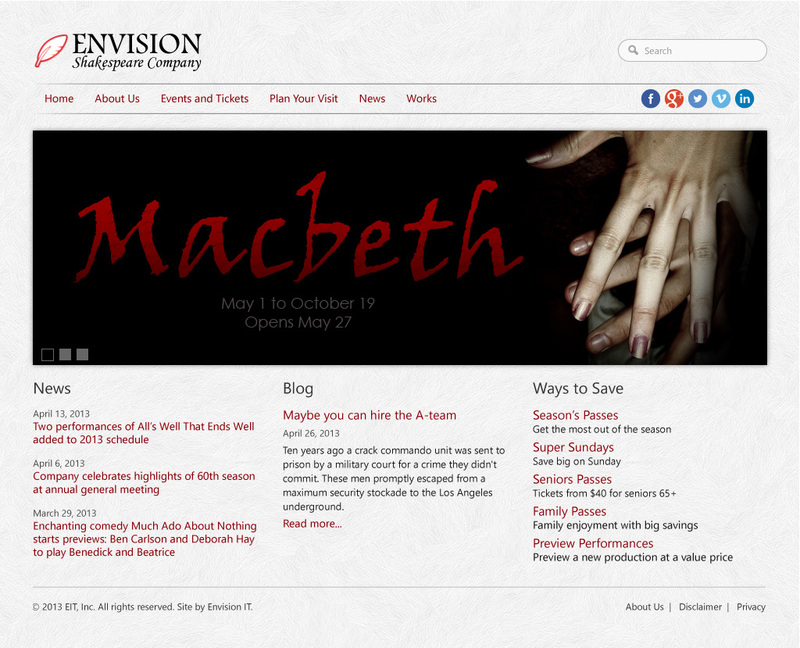 Details on the build of the site and downloads of the site components are available on Peter Carson's blog under the "Envision Shakespeare Company" tag. The site is comparable to a real project site and clients will be able to see our process for developing requirements, wireframes, design mock-ups, building, testing, and deployment. For more information, please contact us at inquiry@envisionit.com or (905) 812-3009.